As with people, each dog has it's own unique personality and quirks. Therefore, we believe no single, "cookie cutter" program will work equally well for every dog. We strive to deal with each dog in the way most suited for it's individual learning ablility. Your dog will be evaluated, and a training regimen will be outlined to help your dog reach the goals you desire. We accept a maximum of 12 client dogs in training at a time, to assure each retriever gets plenty of individual work. We are typically booked six months in advance, so please contact us early to assure a spot. 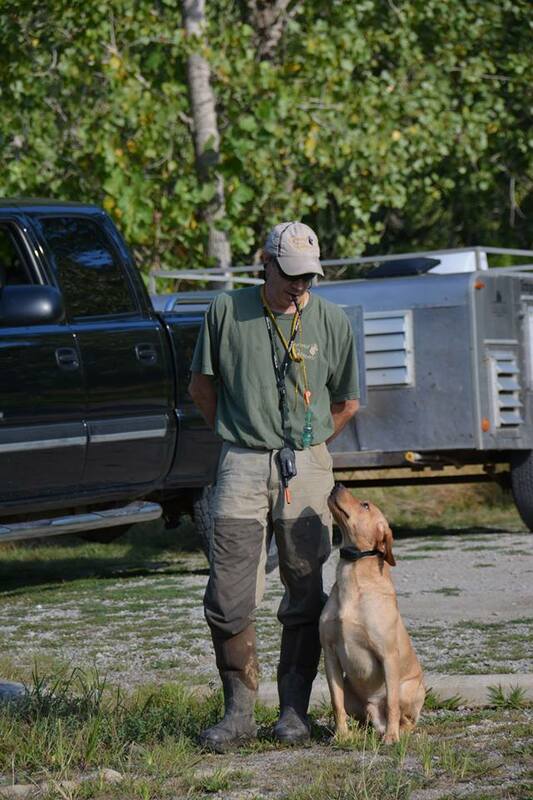 Our Started Gundog Training will give your dog the basic understanding of what is required from him on the hunt. We will spend four-six weeks working strictly on obedience, then progress to actual retrieving skills. Concepts taught will include introduction to gunfire, live birds, steadiness training, land marks out to 75 yards, water marks out to 50 yards, retrieval to hand, and the "hold" command. (Some dogs may require force-fetch at this stage). The general time-frame for training a Started gundog is four months. 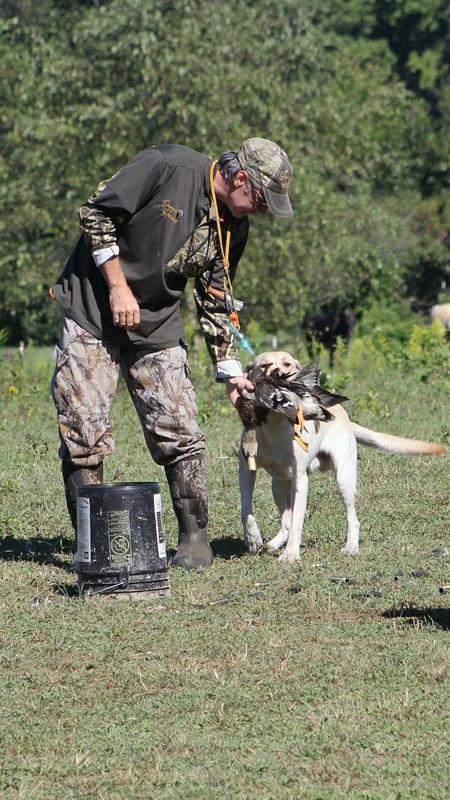 Seasoned - Finished Gundog Training adds the concepts of double and triple marked retrieves, and increases the distance beyond that of the Started Gundog. At this time, we will also introduce the concept of blind retrieves and casting (hand-signals) on both land and water. This training generally takes an additional six months beyond Started training. 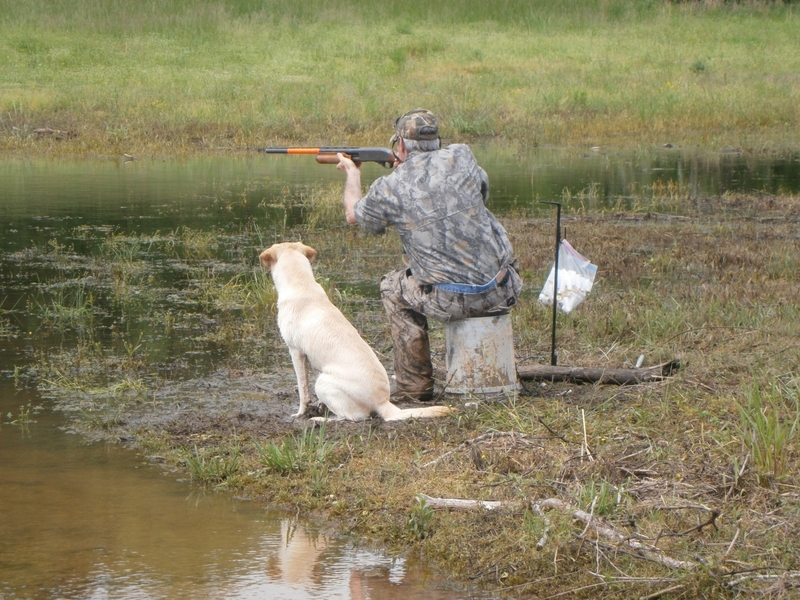 Training to HRC Finished standards increases both distance and precision, and adds the concept of honoring another dog in a hunting or test situation. 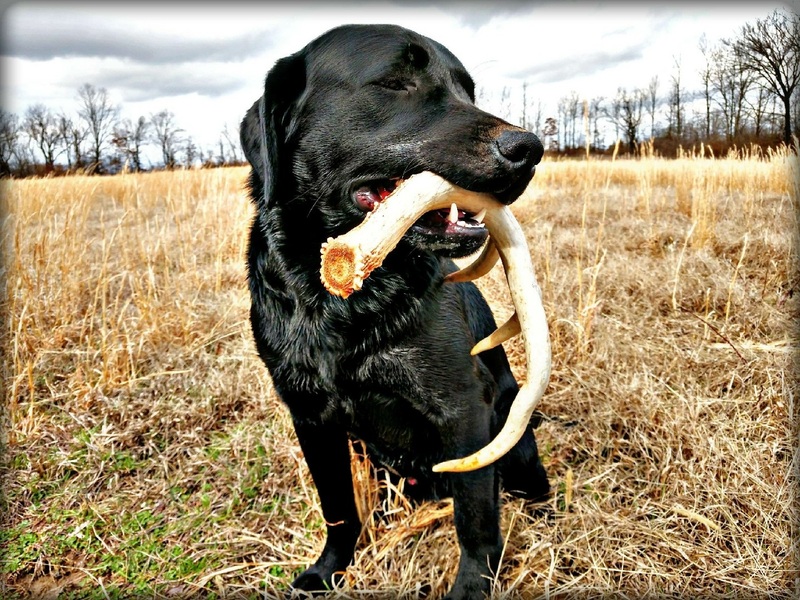 Many retriever owners are realizing the excitement of antler-shed recovery. We offer a four month program, beginning with our standard obedience training and conditioned hold and retrieve. We then progress to casting, searching, and retrieving shed antlers in a variety of locations and environments. Training rates are currently $600 per month, including boarding and food. Please be aware that training time-frames (as listed above) may vary depending upon your dog. We update your dogs' progress every other week via email. You can also schedule a visit to see your dog during training. Please give us a minimum of one weeks notice before doing so. In the spring and fall months, we attend several Hunting Retriever Club (HRC)hunt tests with both our own dogs, and those of our clients. We run all three stakes, and occasionally Upland tests as well. Contact us for handling rates, and a current schedule of upcoming tests. Heading off on vacation and need a safe and secure place to board your buddy? We offer large-breed boarding to help put your mind at ease. Call or email to schedule a drop-off. Boarding rates are $15 per night, including food.